One of the most surprising new 1080p models coming to market this year is the LG CF181D. 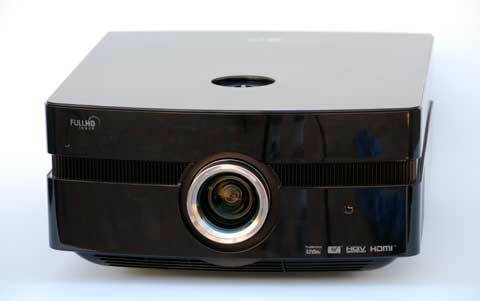 At an official street price of $2,499, it is the least expensive LCoS 1080p projector to come to market in 2009. 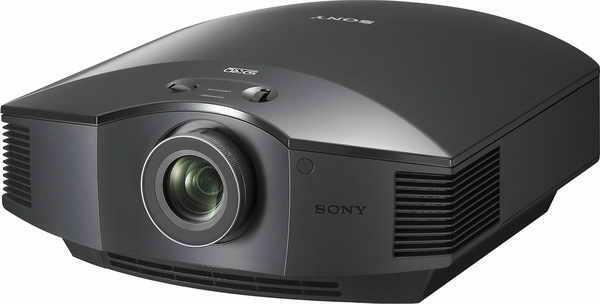 It is also, hands down, the brightest home theater projector we've ever seen when calibrated for optimal video performance. It is scheduled to commence shipments toward the end of the month, but we've had a chance to see a late edition pre-production unit. LG has come out of the blue to challenge Epson, Mitsubishi, and Sony with a formidable offering of their own in the mid-$2,000 price range. Brightness. This may be hard to believe, but after calibration, we measured the modified Cinema mode on the CF181D at a whopping 1219 ANSI lumens, with lamp on high and lens at wide angle. We normally think of 800 lumens as being the bright end of Cinema modes in home theater projectors, so this is an astounding number. For dark theater viewing at screen sizes of 120" to 150" diagonal, 1200 lumens is way too bright. In order to cut brightness, you can go to low lamp mode, which dropped our Cinema mode to 887 lumens. For most users, that is still too bright. Lumen output can be cut further by setting the projector farther back from the screen and using the long throw end of the zoom. If you set its 1.8x zoom lens all the way back to its maximum long throw position, brightness is curtailed by another 26%, down to 656 lumens. That's not much loss for a zoom lens of this range-normally we'd expect to lose about 35% on a 1.8x zoom lens. The CF181D has several other precalibrated operating modes. Vivid is the brightest, measuring 1478 on our test sample. Standard and Game modes both put out 1071 lumens with the lamp on high. Sport mode produced 936. It is odd to find non-video optimized modes producing less brightness than the Cinema mode. Picture Quality. The CF181D delivers a magnificent, sharp, extremely natural, highly three-dimensional image when displaying HD images of average light level, or brighter than average light level. We set it up side by side with the Epson 8500 UB on the large Da-Lite JKP Affinity screen we use for 1080p shootouts. The CF181D was able to trump the Epson 8500 UB in apparent sharpness and picture depth in most scenes in an average Blu-ray movie. However, its one weakness is maximum black level. When the screen goes to black, or rolling credits on a black background, or a scene of stars in deep space, the CF181D has the weaker black level than any 1080p model in its price class. Since this is not the typical scene that one views, it is usually not an issue of consequence. But for those who crave deep blacks when the screen goes to black, the CF181D leaves something to be desired. On the other hand, in a scene with average light levels and high dynamic range, black elements in the picture look plenty deep. There is no impression of muddiness at all. In fact, in this type of scene the CF181D can produce whiter whites and blacker blacks than the 8500 UB. When switching to standard definition DVDs, the CF181D's limitations in black level become more apparent. In the opening scenes of Get Shorty on DVD, John Travolta's black coat and shirt are not as black as we'd like to see, and dark scenes have some muddiness that is not there in HD material. Shadow detail is lacking. So how does this unit stack up against the PT- AE4000U? Are the additional 200 lumen's worth the contrast trade off? How does it compare to the AE4000? That one was also said to slightly best the 8500UB in average-scene contrast but to not match the blacks in dark scenes. You indicate this is an ".... a late edition pre-production unit." Have you gotten any feedback from LG on the FI issues in 24p and/or the image quality with SD source material? Too many compromises with this LG unit. I'll stick with the Panny 4000, thank you very much. This proj is a very compelling buy based on the review..however will help making a decision... if we can find out if LG has fixed some issues in the actual units being shipped. Looking frward to a shoot out with p4000. Third point is about the Lcos technology..not sure about that as yet. Does anyone have an idea when LG will start shipping this unit to dealers? I have been trying to get one..but nobody seems to know..
For the BenQ the best mode was compared against the normal mode of the Panasonic PT-AE4000U to equal out the lumen difference. Would it be possible to hear how the LG in best compares against the Panasonic in Normal for colors & black levels? I am on the market for a new projector. Reading your comments: I am torn between the brightness of the LG, the blackness of the Epson 8500 and the priceness of the Panny 4000. After a few years of bulbs replacing, I could have bought a SONY G90 for less the $5K. What's a man to do?